When I was teaching 6th grade social studies (the Ancients) I thought how cool would it be if I augmented the maps on my wall. I took a picture of my map of Ancient Greece and used that as my trigger. 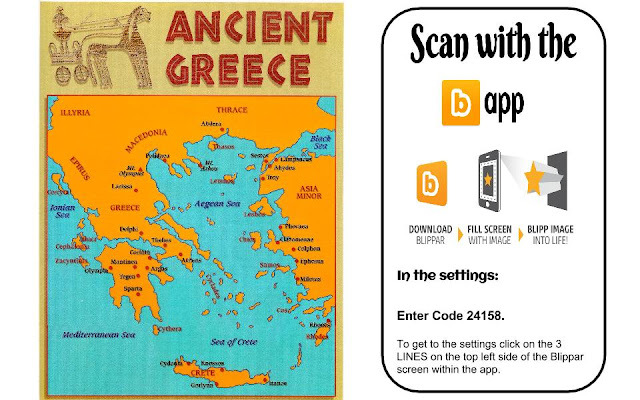 I then imported my trigger image into Blippar's BlippBuilder and created this interactive activity for Ancient Greece. Knowing that several teachers may have the exact same map hanging in their classroom and they to may want to augment their map they still can. With Blippar's BlippBuilder each teacher has a unique code that is tied to their triggers. Which means every teacher that has a BlippBuilder account and wants to augmented the same image they still can. Students will not receive any augmented content unless they have enter a code within the setting in the Blippar app. So if a kid has no code and tries to scan this map they will receive no content. What I like to do is post next to the augmented trigger the code to access the content. I do group my content so all of my math content all has the same code and the same with American History and etc... For this project I have a quick little video that will play giving a quick over view of Ancient Greece. Once the video is done there will be links to a Map, Facts, and a slide show of Ancient Greek Architecture. Feel free to try out this trigger and use it in your classroom. Join us on April 14th at 8pm central either on Twitter or the GHO as we talk about ways we can use augmented reality with social studies. 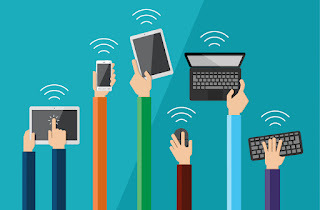 To participate on Twitter follow the hashtag #AR4Learning or visit the link below to watch the GHO or feel free to do both.